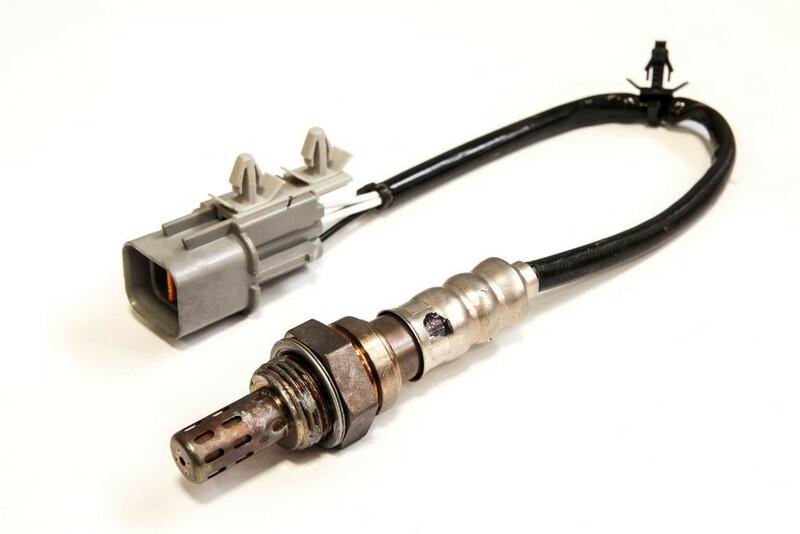 Common signs of a faulty car oxygen sensor include the Check Engine Light coming on, bad gas mileage, and a rough idle. The oxygen sensor in your vehicle measures oxygen levels in the exhaust gases exiting the engine. This information is used by the Powertrain Control Module (PCM) to determine the correct air to fuel ratio for your engine in real time. The sensor is located in the exhaust system and allows the fuel injection and engine timing to work efficiently, which assists with emissions control. The oxygen sensor transmits the data to the vehicle’s PCM to maintain the optimal air to fuel ratio for your engine. A bad or failing oxygen sensor will have a negative impact on environmental emissions and engine performance, so there are a 3 things to watch out for before your oxygen sensor completely fails. The first line of defense is the Check Engine Light. The Check Engine Light will illuminate if you have a bad or failing oxygen sensor. As soon as this light comes on, contact a professional automotive technician for a Check Engine Light inspection. This light can come on for many different reasons, so it is important to have it looked at by a professional who can correctly diagnose the exact cause. If you have high a mileage vehicle, there's a good chance it has a bad oxygen sensor in need of replacement. If the oxygen sensor is going bad, the fuel-delivery and fuel-combustion systems will be thrown off. If a bad oxygen sensor disrupts the air to fuel ratio mixture, or too much fuel is injected into the engine, your vehicle's gas mileage will be reduced. This excess fuel in the engine can produce a sulfuric, rotten egg smell, and may even produce black smoke from the exhaust. If yourself filling up your gas tank more often, keep a record of how many gallons you fill up with and how often. If it is more than normal, have a professional mechanic check out your oxygen sensor. As your oxygen sensor is going bad you may notice your vehicle is running rough, misfiring or running irregularly while idling. You may also observe other engine performance problems, such as loss of power, hesitation, or stalling. Since the oxygen sensor output helps control engine timing, combustion intervals, and the air to fuel ratio, a bad sensor can disrupt these engine functions, causing a rough or irregular engine idle and other engine-related issues. If your vehicle was manufactured within the past 15 years, the oxygen sensor should be replaced every 60,000 to 90,000 miles. This sensor does wear out and will need replacement over time. Replacement of a bad or failing oxygen sensor will reduce the level of emissions your vehicle puts into the atmosphere while keeping your engine running smoothly and properly. As soon as you notice your Check Engine Light, poor gas mileage, or an irregular engine idle, book an appointment to have your oxygen sensor replaced. This will ensure your vehicle is running smoothly, efficiently, and will help prolong the life of your engine. Q: My car is making a ticking sound and the check engine light is coming on then i'll put it in park and it feel like is about to stall out.